With Joy we Announce the Referral of our Daughter! 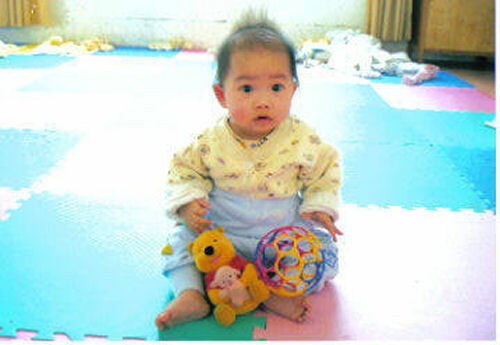 our Beautiful Baby Girl - Evangelina Li Hope. We named her Evangelina because it means "bearer of good news" and she definitely is that for us. Li is indicative of her Chinese heritage meaning "pretty" and is pronounced as "Lee". Hope is...well, hope is exactly what this journey has been all about. Hope is also Larry's mother's maiden name. Words can't begin to describe the excitement and love we feel as we learn all about her! We can't wait 'till the day we hold her in our arms and bring her home! Click here for more pictures & to read more about her. Click here to read a "Letter to My Daughter" written on 08/28/06. An invisible red thread connects those who are destined to meet, regardless of time, place, or circumstance.